"This is an old family recipe, and well worth the time and effort." Mix ingredients in order given, by hand (mixers ruin this recipe!). Mix in baking soda dissolved in water. Add the flour last. Lightly flour board, and add flour as needed to keep dough from being really sticky. Roll out thin and cut into any shapes you want. 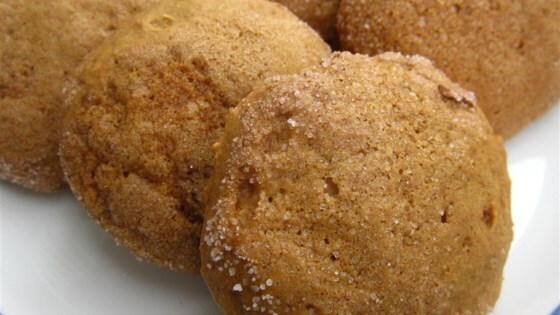 See how to make chewy, spicy, crackle-top molasses cookies.